The SUBWAY brand is launching a digital campaign in the UK and Ireland to thank its customers for accepting digital cookies notifications by offering them real cookies. 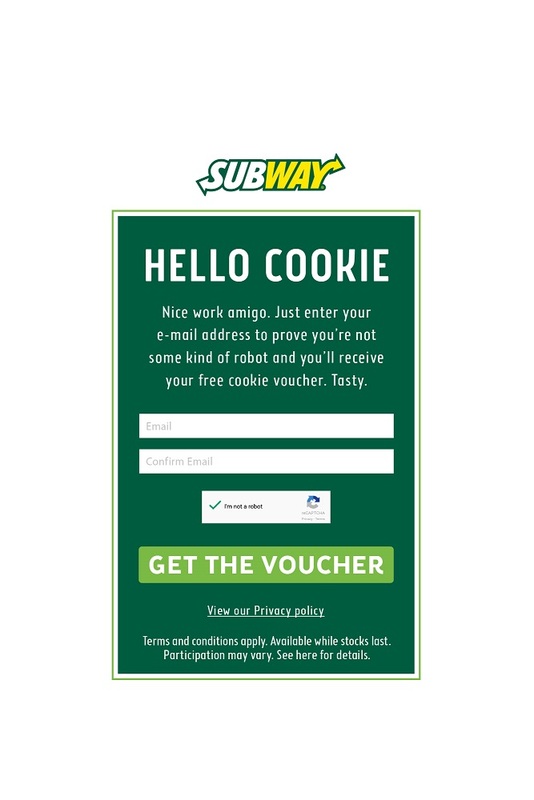 Created by McCann London, the ‘cookies for cookies’ activity sees the SUBWAY® brand become the first to make cookie notifications a positive thing for customers. 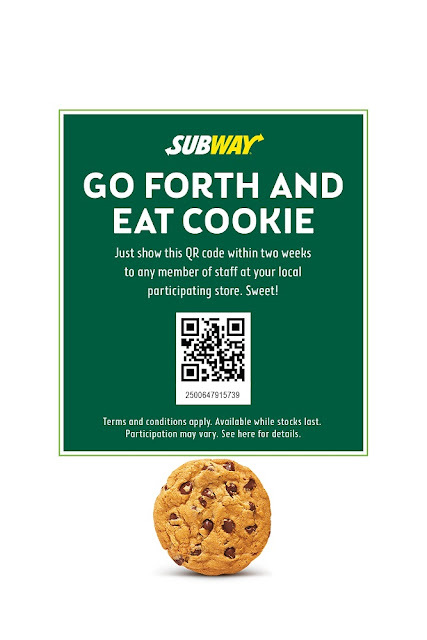 The campaign launched the SUBWAY brand’s promotional offer this week by encouraging visitors to the SUBWAY brand’s website to turn annoying cookie notifications into real cookies. In keeping with the playful nature of the campaign, the creative uses lines such as “Go forth and eat cookie” and “Just enter your e-mail address to prove you’re not some kind of robot”.